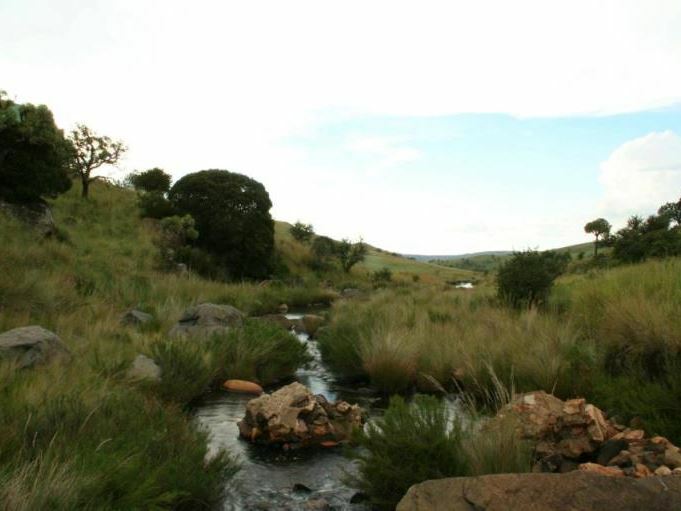 Come and experience life on a private nature reserve just north of Dullstroom in Mpumalanga.<br /><br />O&apos;Grady&apos;s Accommodation offers one lodge, two guest houses and a cottage which are fully equipped for the avid fly-fisherman and their army.<br /><br />Each unit is elegantly, yet comfortably furnished and gives one the opportunity to relax and take in the surrounding country side.<br /><br />The farm dates back to 1879 when it was bought by the current owners great-grandfather. A Catholic church was built by the family in 1951 and services are still being held every first Saturday of the month.<br /><br />Hiking, bird watching, horse riding, 4X4 drives followed by a few drinks around the fire are the order of the day. To be repeated as your days of O&apos;Grady&apos;s Accommodation cruise by. "What a beautiful setting! The dams on the farm are full and fishing is great, offering both trout and bass. The surroundings are beautiful and the owners are accommodating and show great care. Our only concern was the road leading into the farm ... the last 18km is a dirt/gravel road that undoubtedly does tremendous damage to one&apos;s vehicle. I&apos;m not sure if anything can be done about it, as there are several lodges down that road, but admittedly it is a detterant from future visits to this incredible place for us. For people visiting in future we would recommend a 4x4, and even then, aviod travelling in the evening - it&apos;s an incredibly stressful road." "We loved the old spacious farmstead and the fact that we could walk, cycle, fish and enjoy the whole farm"
"Huis kort dringend aandag. Dak lek in sitkamer by kaggel en in breide kamers. Toilet lek. Die bad se warmwater is die kleur van rooigrond. Dink die pype is geroes. Huis het muwwerig geruik alhoewel al die vensters oop was toe ons daar aangekom het. Verder is die nodigste daar. Ons het net braaipan en mikrogolf gebruik. Het gesukkel met gasstoof. Ons het saans gebraai. Wat vreemd was is dat ons vir ons 2 yorkies moes betaal maar die plekkie is nie Pet friendly nie. Ons hou al 8 jaar met hul vakansie en oral waar ons gebly en betaal het was daar n omheining om die plek of daar was n court yard of n hekkie op die stoep. Indien die plek dit nie gehad het, het die eienaar dit genoem. Ons moes die 2 heeltyd aan hul leibande hou wanneer ons buite gesit het, want die twee plaashonde was gereeld daar. Dus n lekker plek om te rus as foutjies uitgesorteer word. Maar die plekkie is nie ingerig vir mense wat met hul dierekinders wil vakansie hou nie. Veral nie vir miniatuur yorkies nie." "We had a lovely time at Granny&apos;s Cottage, a magnificent vast farm, beautiful walks and scenery. The cottage was clean, cosy and comfy - a real treat"
"We stayed at O&apos;Grady&apos;s as part of a planned get away from it all weekend. This was achieved as Granny Green cottage is really away from it all. The cottage is basic but comfortable enough with an equipped little kitchenette, and two en suite bathrooms. We would have preferred a shower in the main bathroom, (but that is a personal choice) as we are far more inclined to shower than to bath. We loved the peace and quiet and the owners were kind enough to arrange firewood for us. This enabled us the have long evenings of quality time around a camp fire. The only comment I wish to make is that the district road to the farm is not in a good condition and is an need of repair. Otherwise we had a very relaxed weekend of lazing around, mountain biking and golfing. Thank youCorrie Appleton"
"Had a wonderful relaxing weekend on a very scenic old school farm! Lots of heritage there!Very good fishing and quite technical which is the way I like it!Accommodation was neat, clean and comfortable.Host very friendly and helpful.Thanks for a great time out!" "A lovely farmhouse. Clean and has everything you need. The owners are fantastic and makes sure you enjoy your stay.The walking trails are excellent. Had a peacefull stay and we will return to O Gradys. Thank you for being pet friendly. The dogs had a ball.Vosloo family." "Wonderful weekend away with excellent fishing!" 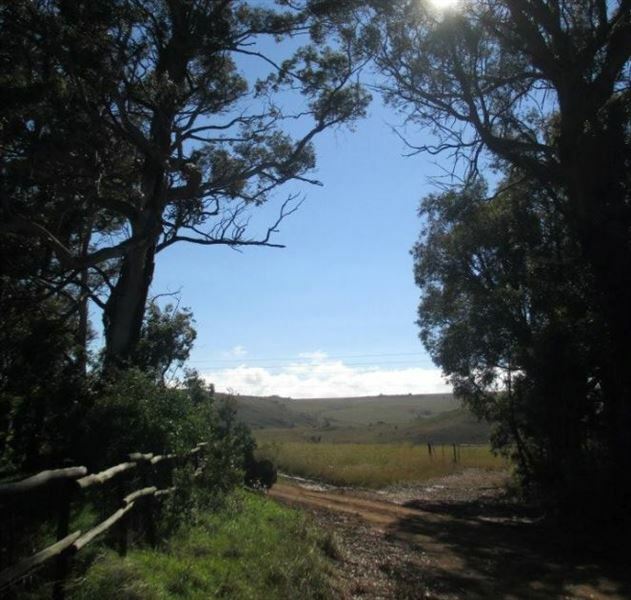 "We had an absolutely incredible weekend away at Ouma&apos;s at O&apos;Grady&apos;s. Stunning scenery, gorgeous old farm house, breathtaking walks with the dogs, wonderful hospitality and excellent fishing in a variety of beautiful, well stocked trout dams. Could not recommend them highly enough! We will definitely be back." "We were 2 couples sharing the Granny Cottage, would have been nice if both rooms had double beds, but we managed. The geyser doesn&apos;t have enough hot water for everyone to have a hot shower the same day, we had hot shower the next morning. There issome maintenance needed on the cottage, ceiling, kitchen etc.2 pots wasn&apos;t enough to cook for 4 adults. 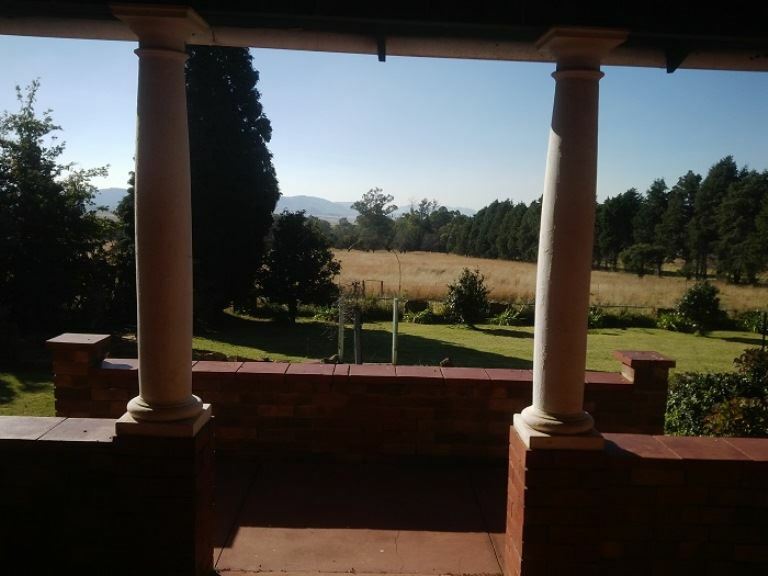 An awesome property with great views, great for more than one night, we stayed for one night, and the publicroad to the farm is in need of grading, therefore 1 night stay is not enough to enjoy the place.Overall a potentially good place to stay. " "We had a fantastic stay at O&apos;Grady&apos;s. It was so relaxing. A serene environment with beautiful scenery everywhere. We enjoyed long walks, and swimming in the river. 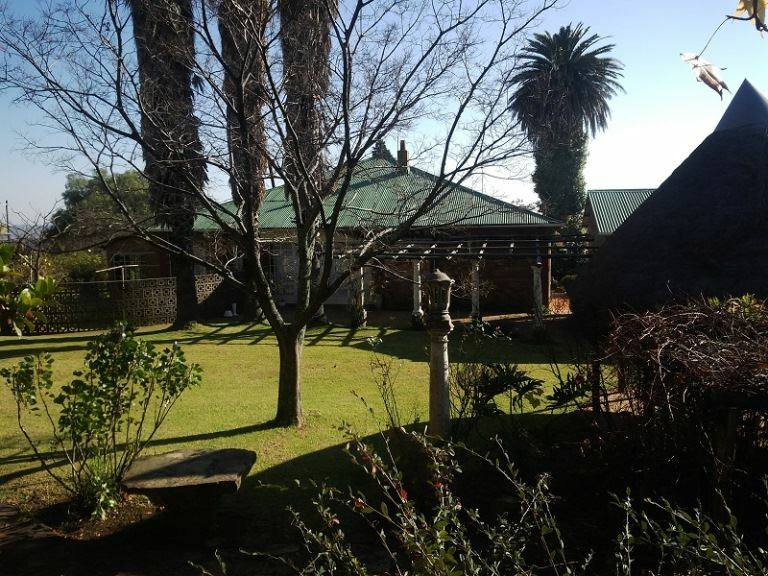 Thank you so much to Bernard, Bokkie and Riette for their kindness and hospitality."